Modern dogs are built like their ancestors and we believe they should eat like them too. In nature there are no food supplements, and dogs and wolves derive their nutritional needs by consuming whole prey animals; muscle meat provides protein; liver, kidney and tripe supply vitamins and minerals; bones and cartilage deliver calcium and phosphorus. 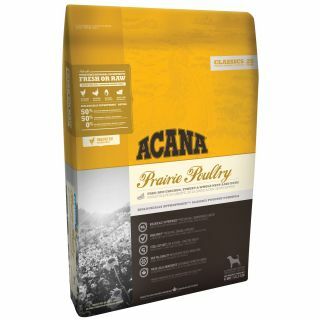 Entirely free of plant protein concentrates, ACANA Prairie Poultry is loaded with 50% meat — up to twice as much as most pet specialty dog foods. 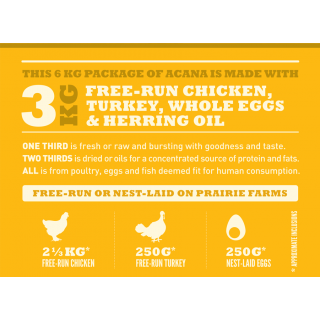 1/3 of the meat in ACANA is FRESH, supplying essential nutrients in their most nourishing form, and 2/3 is dried to provide a strong source of meat protein. 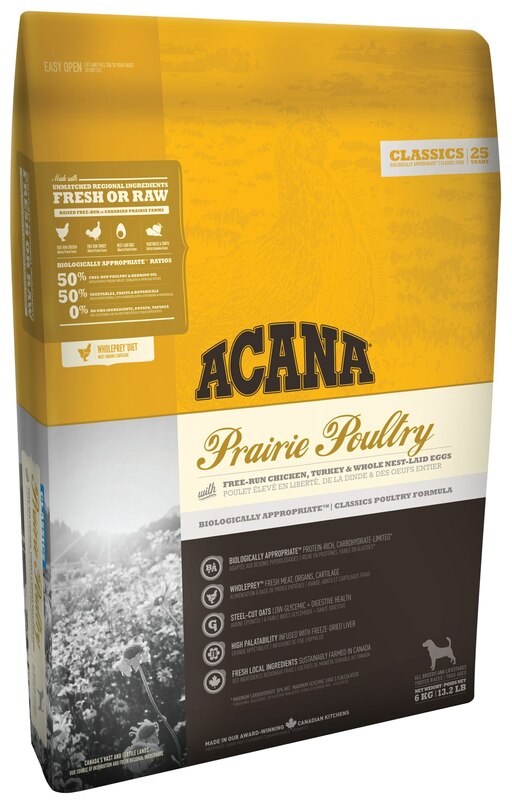 ACANA Prairie Poultry features 3 fresh meats in WholePrey™ ratios that include meat, organs and cartilage to supply nutrients naturally and completely. Free-run chicken – meat, liver, heart, kidney and cartilage, fresh from local farms. In nature there are no synthetic supplements, and dogs and wolves derive their nutritional needs by consuming whole prey animals; muscle meat provides protein; liver, kidney and tripe supply vitamins and minerals; bones and cartilage deliver calcium and phosphorus. 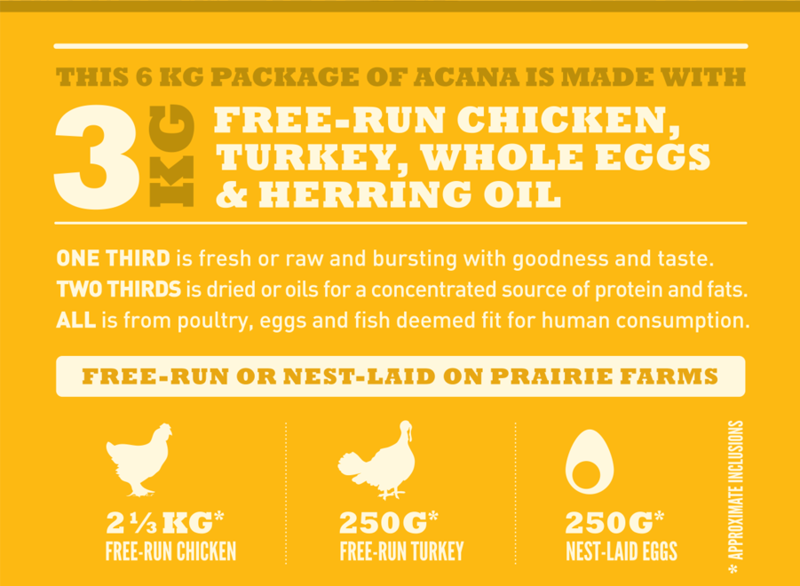 ACANA Prairie Poultry’s rich meat and WholePrey™ inclusions supply nutrients the natural way, limiting supplementation to Vitamins A, B5, D3, E, choline and zinc. Everything else your dog needs is supplied from our ingredients.